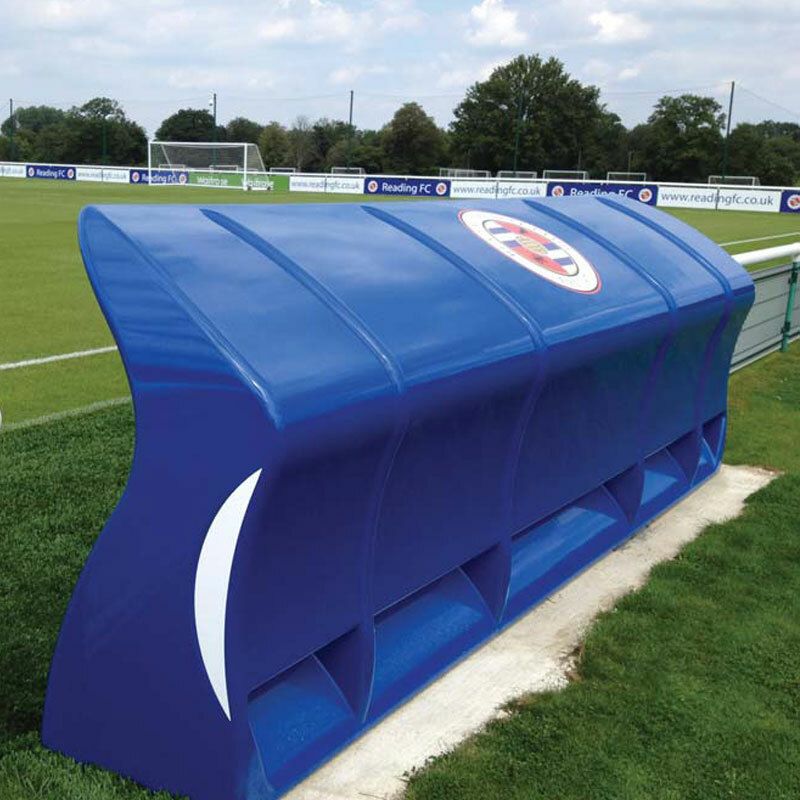 Harrod Sport ® FibreTech Team Shelters are manufactured in one piece from advanced materials that make these shelters extremely strong, durable and impact resistant to hockey and footballs. Chem bolts - Harrod Sport Chem Bolt Shelter Anchors. For use in concrete and tarmac surfaces. Anchors - Harrod Sport Standard FibreTech Team Shelter Anchor. 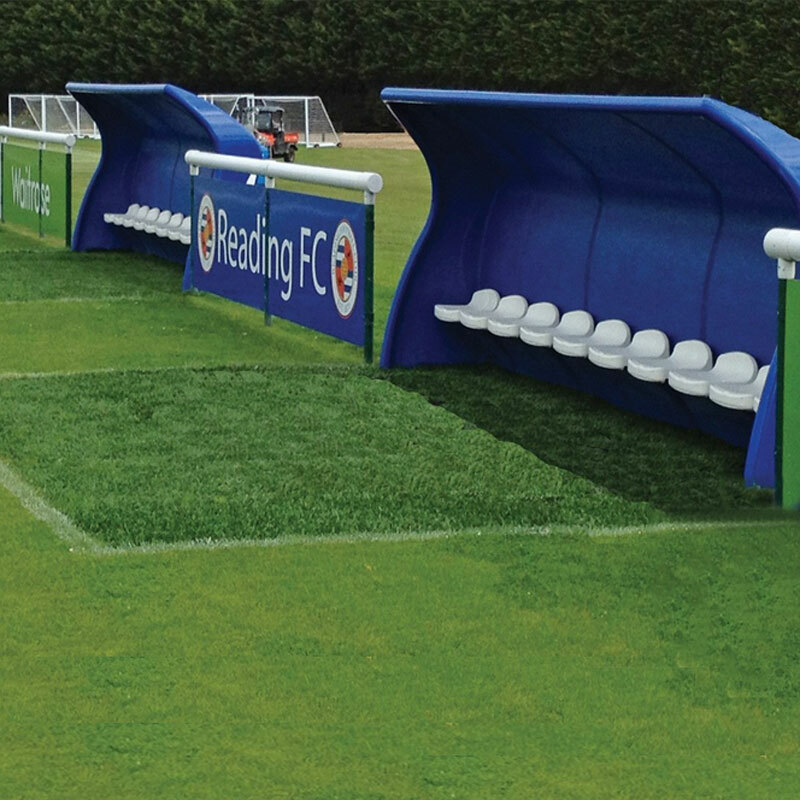 Suitable for pitches where concrete base pad can't be installed. Optional screen printing available for Logos and wording. 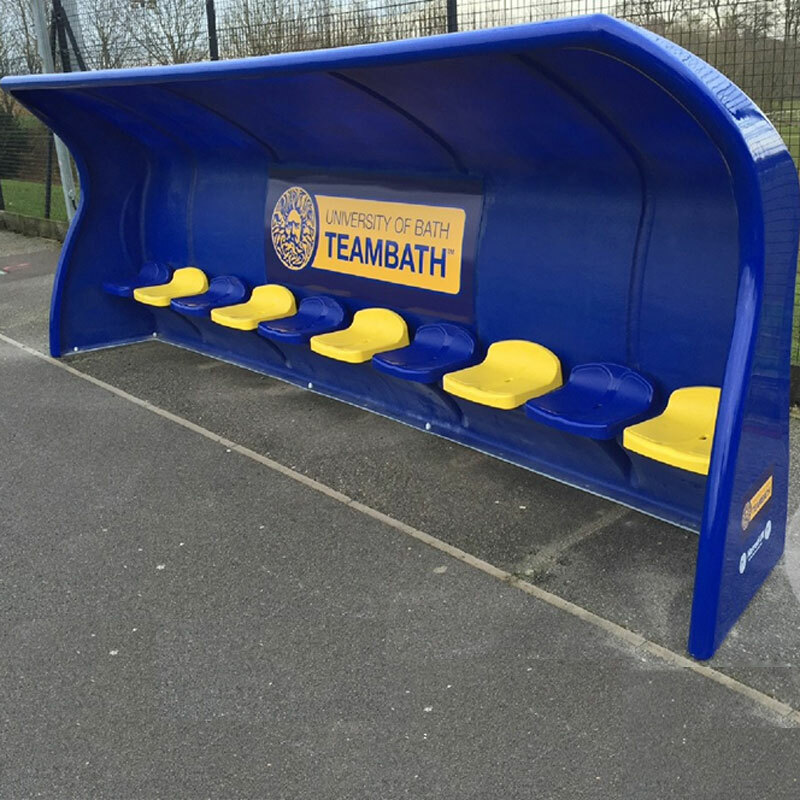 Choice of seat style –Bench or Fixed. 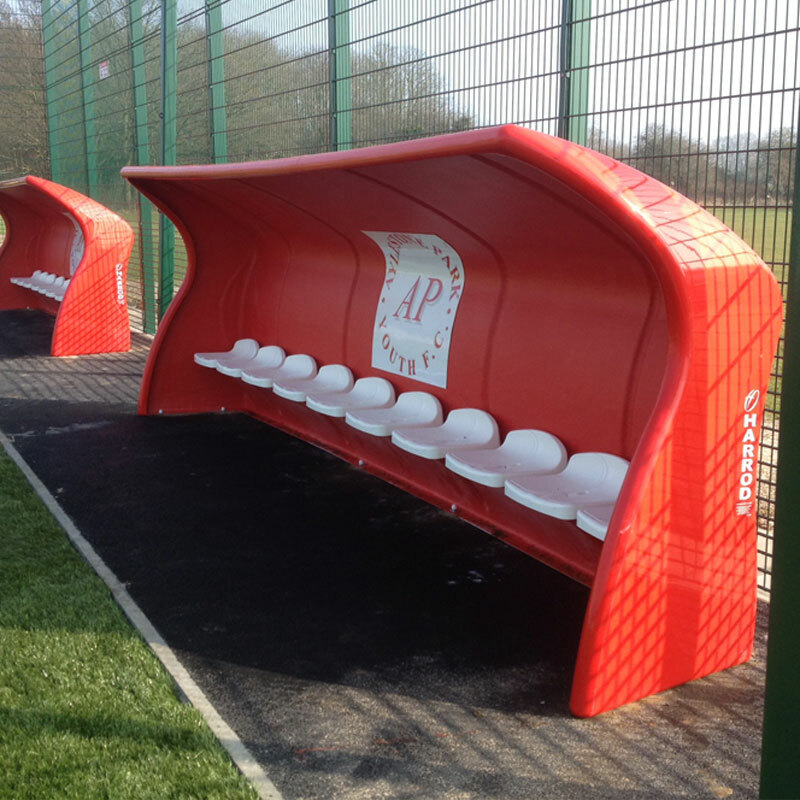 Choice of seat/bench colours: available in black, blue, green, yellow, red, orange, white and grey. All RAL colours available for the outer shell. Green outer shell with black UV stabilised polyurethane seats. 10 year materials warranty (excluding vandalism and voluntary damage). Fixing holes located every 500mm along the base for anchoring. Dimensions - 1675mm high x 911mm deep. 2.5m shelter to seat 5 persons - 70kg per shelter. 5m shelter to seat 8 persons - 125kg per shelter.